If a fashion designer, a writer, an architect, and a marijuana cultivator created a textbook about cannabis, it would be Grow Your Own, a hip and informative guide to all things weed. There’s always been a cooperative spirit to the cannabis movement. The plant brings people together, it heals us, and it has the potential to do much so good in the world. Despite the fact that legalization is, for some, synonymous with “green rush” competition, plenty of folks still embody generosity and compassion. And while, some industry types guard their “intellectual property” with their lives, there are still more who offer their wisdom for the common good. The team at Raven Grass, a Washington state cannabis company, stands firmly in the latter category. With the publication of Grow Your Own: Understanding, Cultivating, and Enjoying Cannabis, a do-it-yourself, seed-to-consumption marijuana manual from Tin House Books, they’ve relinquished the role of gatekeeper, opting instead to share their vast knowledge directly with the people. 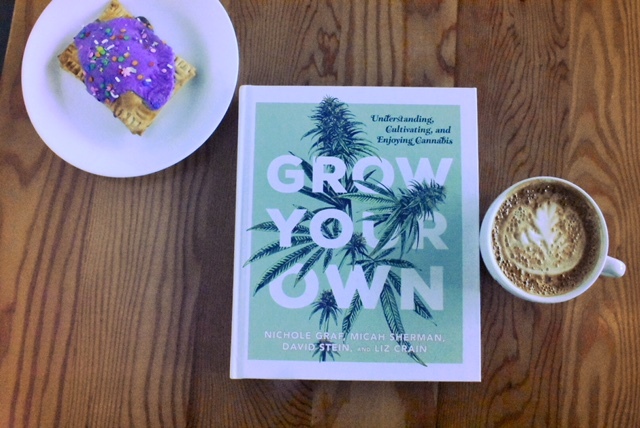 Co-author and Raven’s Creative Director/Head of Product Development, Nichole Graf, explains: “We wanted the book to hold more than just a key to growing — while we wanted our readers to feel empowered to grow their own, we also wanted to empower them as consumers through a general breadth of cannabis education.” Far more than a grow guide — though it is that too — GYO presents enough information on the wide array of topics associated with modern marijuana to make anyone feel like they know a thing or two. It’s also a book you want to pick up and open, appealing to the eyes, like an artist made a textbook for your favorite class they never offered at your school. And that’s essentially the case. Graf came to cannabis from a career in fashion design, and her partners in this project — Liz Crain, Micah Sherman, and David Stein — bring expertise from their years as a writer, an architect, and a longtime grower. Filled with clear but thorough narrative descriptions, broken up by helpful timelines, charts, and diagrams, not to mention cool fonts and great images, Grow Your Own beckons to you from the coffee table. With its digestible format and organizational structures — like sidebars and even a glossary of terms at the end — you can open GYO to practically any page and become instantly absorbed. “Our goal was to create a straightforward, engaging, comprehensive primer that covers enough plant science, cultural background, horticulture how-to’s, and weed-lingo to inspire people to dive in further but would also be enough for our readers to feel confident entering a dispensary or even casual conversation about cannabis for the first time,” Graf tells us. The book’s broad focus means you’ll learn a little bit of everything. Read up on the history of cannabis or the endocannabinoid system, answer your questions about cannabinoids and terpenes, or delve into some common strains and their profiles. There are also chapters on forms of cannabis, cannabis consumption (from apple pipe to vape pen, gravity bong to dab rig), and cooking with cannabis (along with some great recipes). And though it covers a lot of ground, the bulk of the book is devoted to cultivating cannabis. It presents an in-depth exploration of various processes and practices, including information on setting up a grow room; lights, equipment and other tools; soil and growing mediums; harvesting and drying; troubleshooting; and more. Refreshing in its straightforward presentation of relevant information, Grow Your Own will no doubt have wide appeal. As an experienced consumer who’s not yet tried growing, it’s perfect for me. I’d gift it to anyone who was curious about what cannabis legalization means for our culture because it’s all-inclusive and super well done. It’s also great for those who are new to cannabis or curious about how they might start to explore a personal relationship with the plant. The cannabis plant contains so much innate wisdom, and we’re lucky that we’ve been the recipients of its gifts. It’s only right then, that we continue to share its secrets rather than guard its gates. Graf reminds us, “I think as a whole, it’s important to empower consumers through education. To me, this absolutely includes education about the process of growing your own… Especially at the place we’re at with access to affordable, quality healthcare in this country, it feels incredibly important to put such a potentially valuable tool/medicine into the hands of as many willing and curious humans as we can.” We can thank Graf and the rest of the team behind Grow Your Own for helping to bring marijuana to the masses. Jenn Lauder is a media maker, content creator, community builder, and marketing strategist in the cannabis space. Cofounder of Splimm, the world’s first pot and parenting newsletter, she has a decade of experience as a progressive, anti-bias educator in independent and public schools and spent five years at nonprofits offering services and advocacy for children and families. Jenn is half of the founding team of Weekend Review Kit, a cannabis review and lifestyle site; has written for numerous print and online media outlets; led a license-winning application for Maryland's medical cannabis program; and directs marketing and advocacy efforts for an herbal products company. She graduated Phi Beta Kappa from Wesleyan University and attended graduate school at Harvard University and Goddard College. 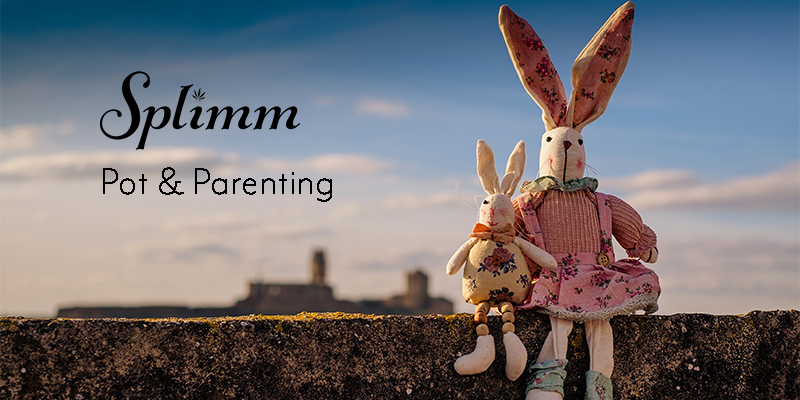 Of Jenn’s many jobs, her favorite is being a mama to her nine-year-old daughter.